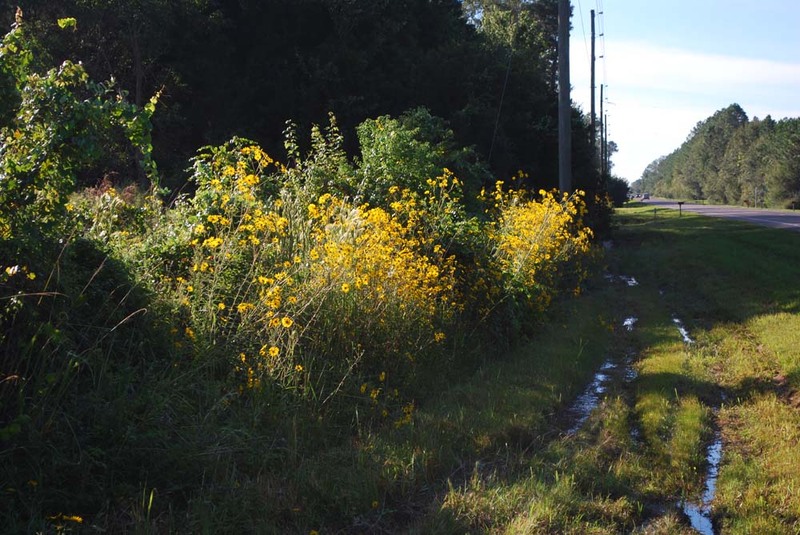 Returning home from Atlanta, we noticed patches of tall, bright yellow flowers in the wet ditches along SR 100 east of Lake City, Florida. 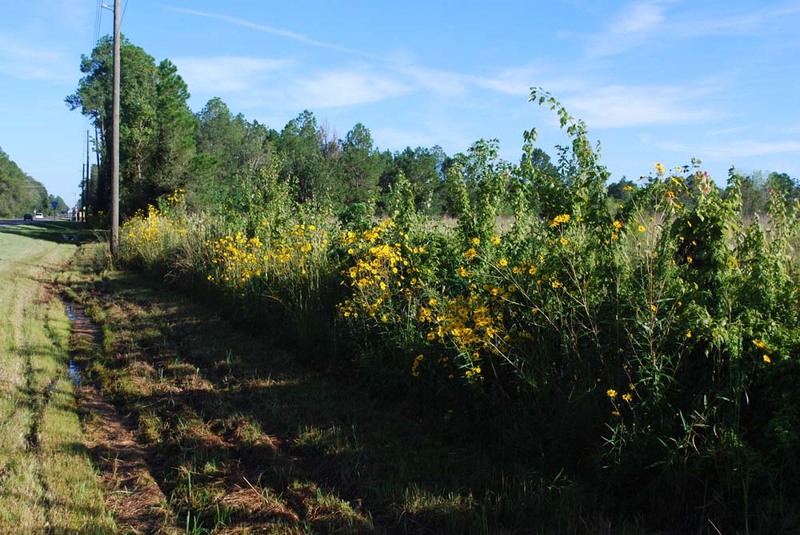 A short distance past Starke on SR100 we finally found a safe place to pull off and photograph the flowers. 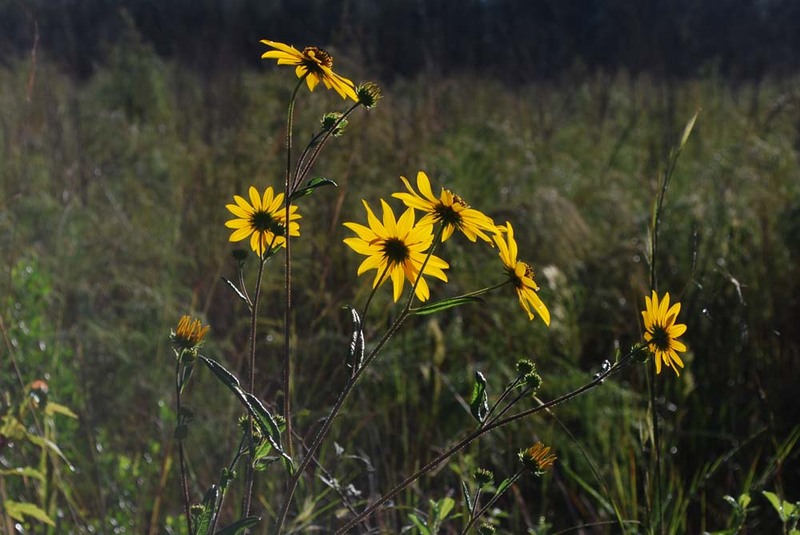 After a bit of research, I decided they were Helianthus angustifolius, common name swamp sunflower or narrowleaf sunflower. The rough, narrow leaves are the main identifying characteristic. The leaves and stems are rough. 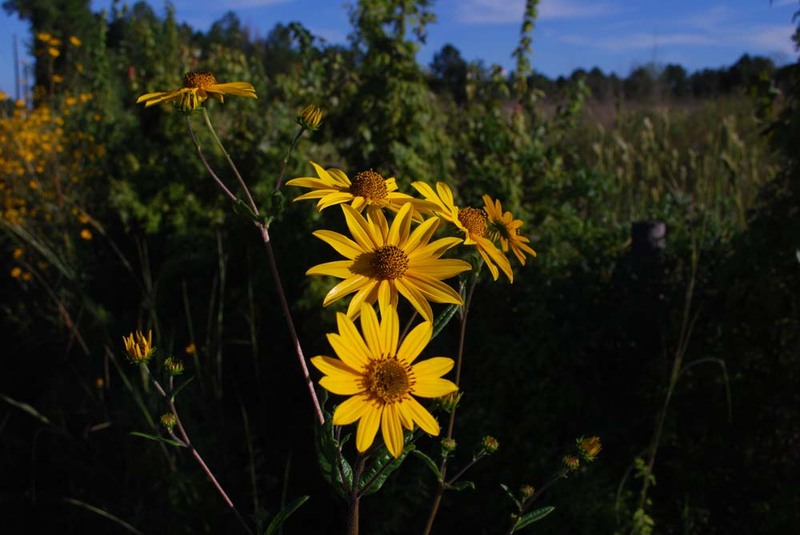 However, an anonymous commenter (see Comments) pointed out that these plants were probably Helianthus simulans, common name muck sunflower. Although their leaves are narrow, they are wider than H. angustifolius. After more investigation and measuring leaf widths, I concluded that the commenter was correct. 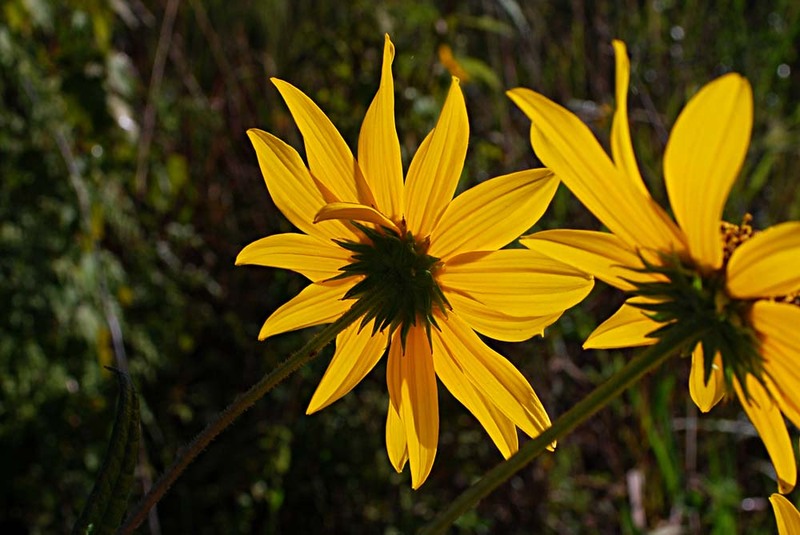 The sunflowers shown here are H. simulans. 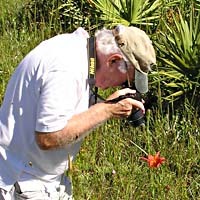 The USF Plant Atlas characterizes H. simulans as "Not Native." 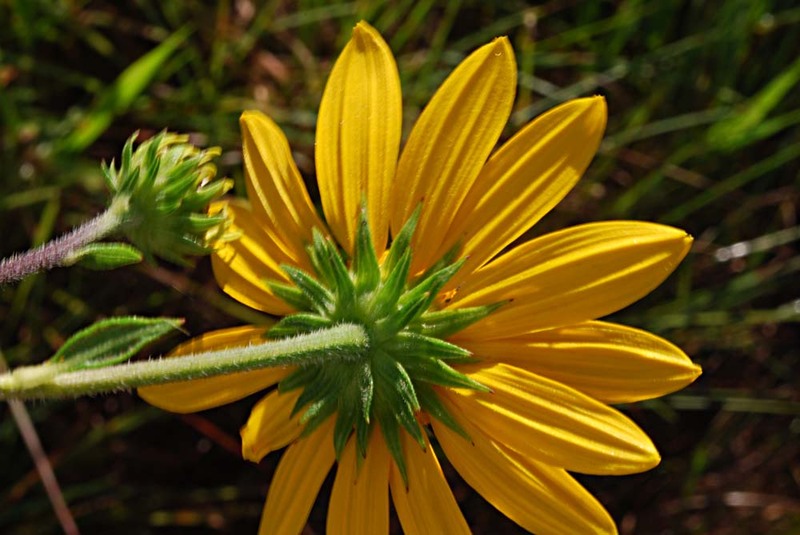 Wunderlin states it is native to Louisiana, but has escaped cultivation and is now found throughout the southeast. 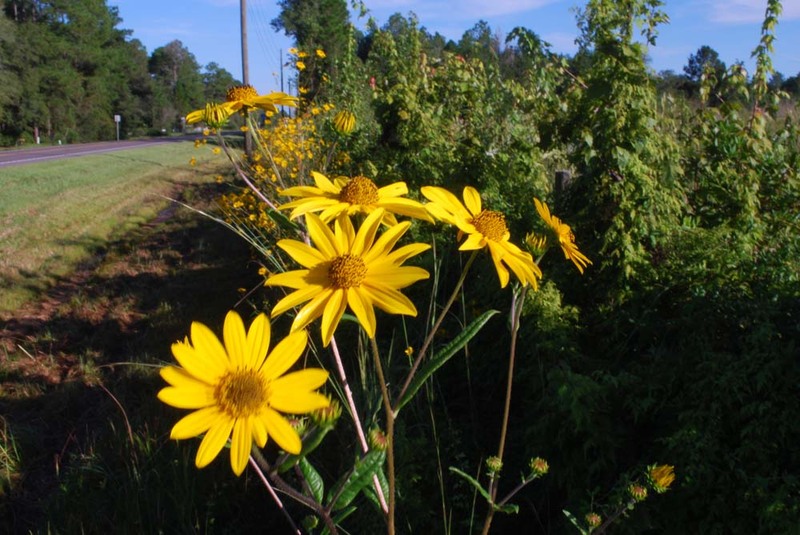 Another very similar species found on wet Florida roadsides is Helianthus simulans, which may be in your pictures. Thanks, Anonymous. I'm fairly certain the species shown here is H. angustifolius. Although the plants seemed tall, they were probably less than 1.5 m tall. 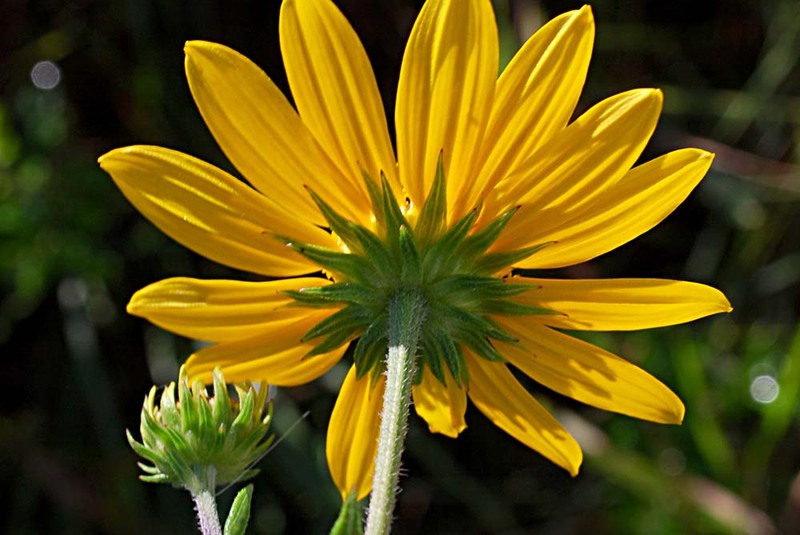 The narrow leaves were very rough, with margins rolled under (revolute). According to Wunderlin, the leaf margins of H. simulans are flat, and the species is considered rare. That's interesting -- perhaps this is one of those botanists' controversies. 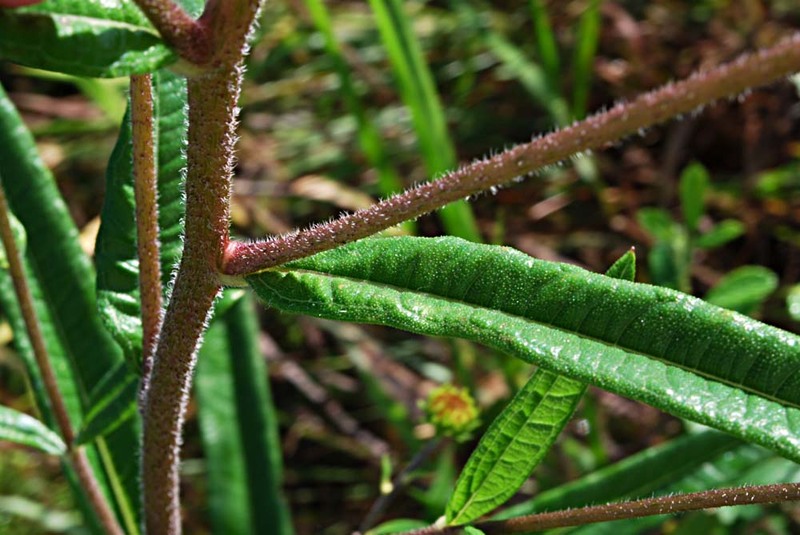 I was speaking from the Flora of North America and Weakley's Flora which describe the leaves of H. simulans as "usually slightly revolute" and "often revolute" and do not use this to distinguish from H. angustifolia. 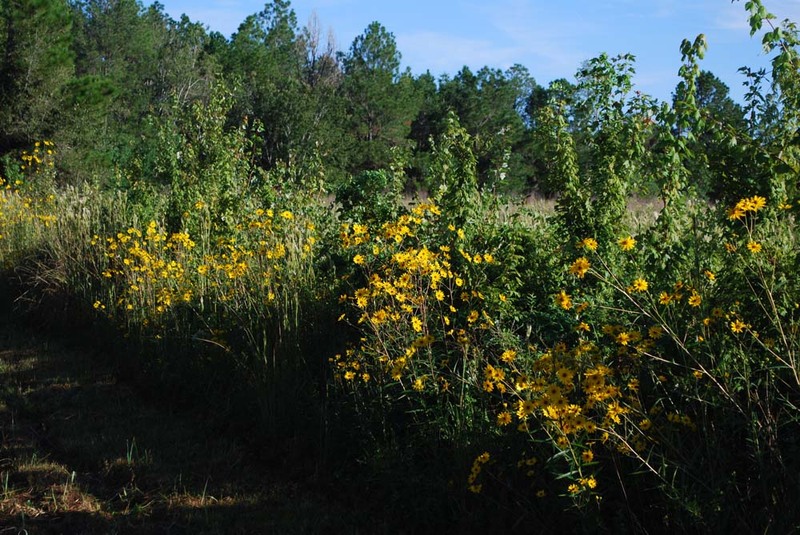 They describe it as "uncommon" in Florida but recently increasing across the SE generally. Hard to tell from a picture, but <0.5cm is a VERY narrow average leaf width!